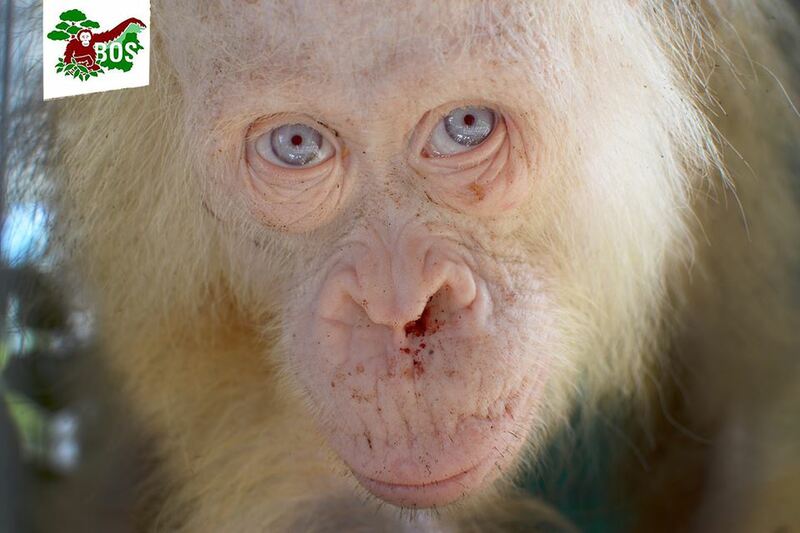 She was held captive by local residents for two days. Now she is in the safe hands of BOS staff while they continue to monitor her and conduct routine medical tests. 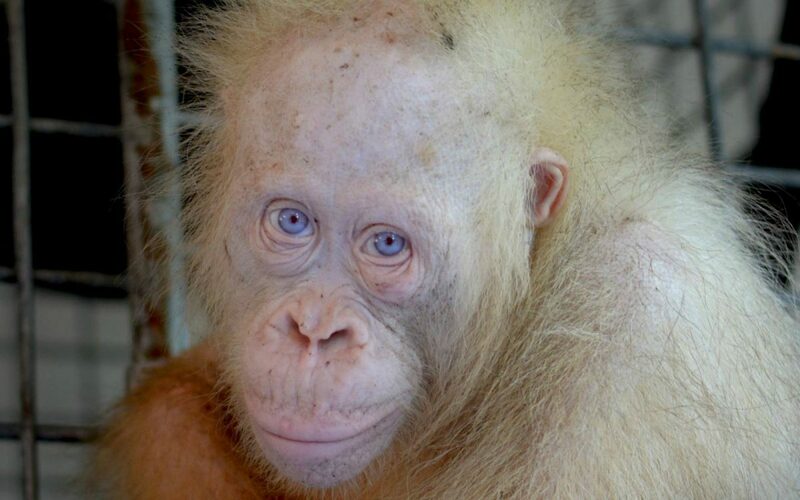 Because of her unique beauty, this sweet orangutan has touched many people worldwide. The Borneo Orangutan Survival (BOS) Foundation, founded in 1991, is an Indonesian non-profit organization dedicated to the conserving the Bornean orangutan and its habitat. BOS works in cooperation with local communities, as well as the Indonesian Ministry of Forestry and international partner organizations to achieve their goals. Amazingly, BOS is currently taking care of almost 750 orangutans with the help of 400 staff members. Recently, BOS rescued a five-year-old female orangutan in the Tanggirang village, Kapuas Hulu, with the help of the Central Kalimantan BKSDA. But this sweet girl is an orangutan like no other: she’s albino. 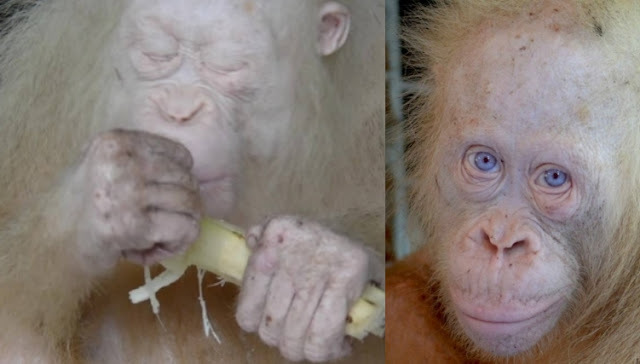 BOS medical staff determined she is an albino orangutan because her hair, eye, and skin color are all paler than a normal orangutan. She is also sensitive to light. Orangutans are native to the Indonesian islands of Borneo and Sumatra. Being that they are an arboreal species, they are dependent on the lush rainforest environment for their livelihood. Tragically, the area of rainforest across these islands has declined by over 80 percent in the past two decades alone, primarily due to palm oil production. 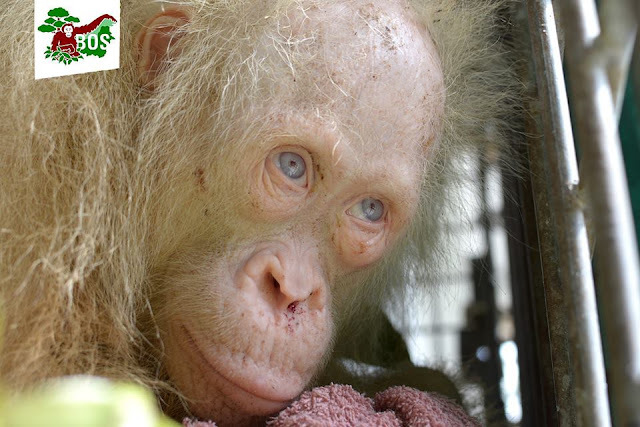 Responses to "Rare albino orangutan imprisoned by villagers is saved thanks to wildlife rescuers"